Visit the islands around Isla Boca Brava and Isla Coiba and you are greeted by a sight that’s quite a lot of fun. These beaches are literally crawling with shells of varied colors, shapes and sizes scooting around! Actually, the shells are being scooted around, not scooting by themselves. These shells are host to Hermit Crabs. What makes these tiny creatures so much fun is that rather than grow their own hard shells, they find, borrow, and live in other animals’ abandoned shells. When they out-grow one shell, they move out and borrow another. It’s great fun to watch these many, many tiny creatures digging holes, crawling in or out, or running around at a rather furious pace. Then when one of them feels the vibrations as you walk, or even feels a camera moving in close to it, it quickly folds into the shell so it appears to be just an empty shell lying on the beach. Once I was lucky enough to see a large one that was in between shells. I never got a photo of it though. Instead, I actually walked the beach looking for a shell large enough for it, but I couldn’t find one. Then I couldn’t find the crab, either. I have a bunch of photos of them and will post some as soon as I can import them to my 98% full iPad. Here’s a fun photo. 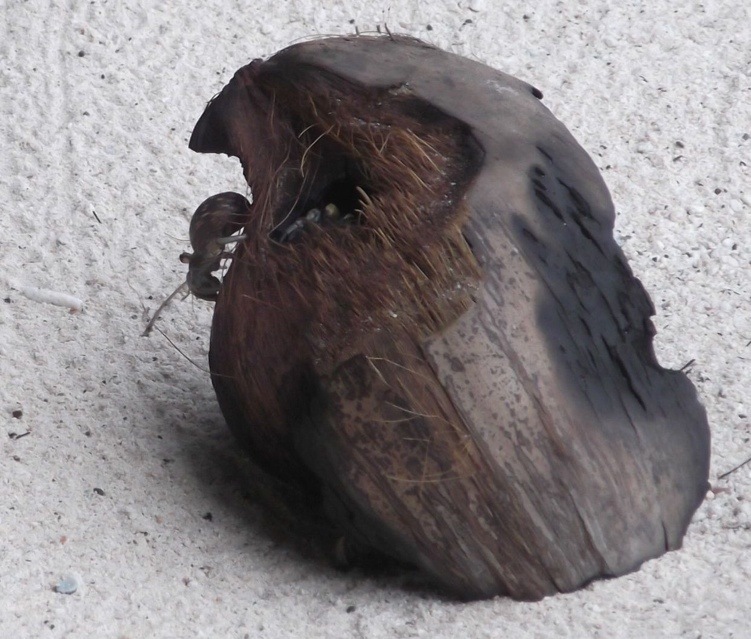 See the Hermit Crab climbing on this coconut? I think there is another one hiding in the side facing the camera as well. 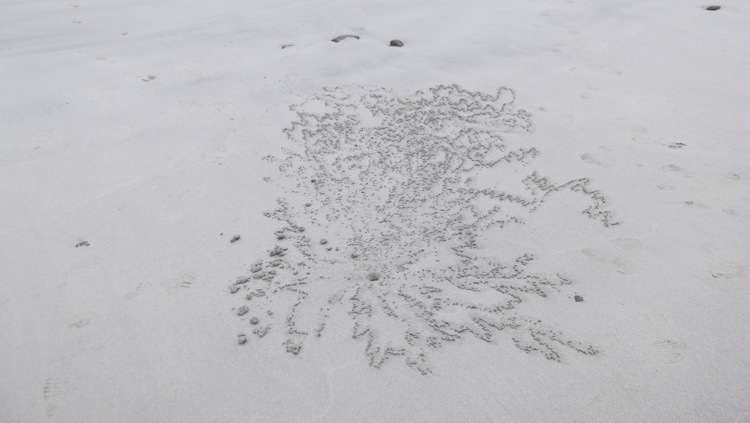 This is one Hermit Crab’s pieces of artwork. Look closely and you can see its hole. 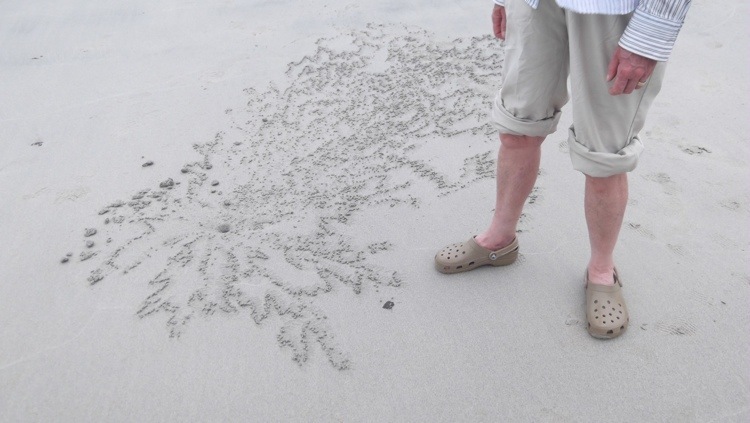 The little balls of sand that comprise this decorative beach art are what this little crab tossed out of the hole to build its home. My snorkel companion stands there so you can know the scale.